In this explosive conclusion to The Orphan Trilogy, the ninth-born orphan's dramatic story resumes five years after book one, The Ninth Orphan, ends. Having eluded his former masters at the Omega Agency and escaped his past life as an operative, Nine has married his soul mate, Isabelle. They've carved out a new life for themselves, off the grid, in the remote islands of French Polynesia. The contented couple have a five-year-old son, Francis, who is a chip off the old block and who has inherited his father's unique DNA. Francis will soon have a sister as Isabelle is about to give birth to a baby girl. Their idyllic lifestyle is shattered when Francis is abducted by operatives in the employ of the Omega Agency, the shadowy organization that brought Nine into the world and once controlled every aspect of his life. The terrified boy with the unique DNA is dispatched to one of Omega's underground medical laboratories for scientific testing and experimentation. Nine is desperate to find Francis before Omega can harm him. He soon finds he's up against his fellow orphans - all elite operatives as he once was - who are under orders to kill him on sight. To overcome them, he must call on all his former training and skills. His search takes him around the world - from Tahiti to America, Germany, Greenland and the Congo. To add to Nine's worries, he has a serious heart condition that requires immediate surgery. The clock is ticking and he knows he's on borrowed time. It's a race against the clock to find his son before Omega can harm the boy - and before his heart gives out. 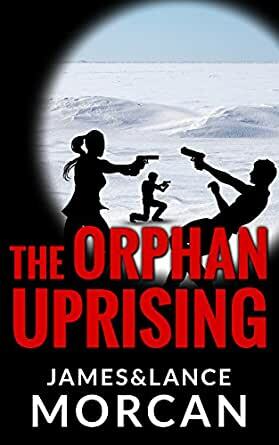 Written by father-and-son writing team Lance & James Morcan (authors of The Ninth Orphan, The Orphan Factory and The World Duology), The Orphan Uprising is the third book in The Orphan Trilogy. A feature film adaptation of The Ninth Orphan is currently being developed. This is a great conclusion to an amazing series. All three books have been an absolute pleasure to read. I thoroughly enjoyed the Intensity of this story, and it’s certainly not a book you can easily put down. It’s full of great characters that are quite diverse, and it has an Interesting plot to top it off. Sebastian and Isabelle’s life seems almost perfect living on the island of Nuku Hiva with their son Francis. It’s a far cry from Sebastian’s former life as an Assassin for the Omega Group. He managed to get away from them after being under their control since his birth, and working for them for years. However their idyllic life is about to be smashed to pieces when Francis is abducted by two men, and taken away to who knows where. Whether Sebastian likes it or not, he will now have to become ‘Nine’ again and revert to the trained killer he once was, to have any chance of getting his son back. He’s certainly going to be up against it though, as his former employer Omega want’s him dead, and they have given the order for his fellow trained orphans to hunt him down. They have obviously forgotten that ‘Nine’ was their best trained operator, and he will stop at nothing to get Francis back. I’ve read a number of books now from these two talented Author’s, and I’ve thoroughly enjoyed every one of them. Hands down this is a series worth reading. 5.0 out of 5 starsI wished it would never end. Fast paced, action packed, and a great explosive end to a fantastic trilogy. Unexpected and fulfilling on all account. This book, like the others in the trilogy is page turned that can't be put down until its finished. The books move like Hollywood action scripts, combining elements from The Boys from Brazil with YA action akin to Divergent. Part sci-fi, part political thriller, all of the books are great fun but Uprising is the best. Nine has successfully broken from Omega and lives with his son and pregnant wife in French Polynesia. But Omega has somehow learned of his offspring—who would be invaluable from a genetic testing standpoint—and kidnaps him. Nine has a heart attack at the crucial moment. Barely recovered, he goes after the boy, into Omega controlled territory including a string of genetic testing laboratories. The trail leads Nine around the world in 80 breathless days of action, drama, and well described unique locations including Greenland and the Congo. It’s a page-turner right to the end and a hefty read to boot. The Morcans don’t skimp on the action, making this an excellent entertainment value. Highly recommended. 2.0 out of 5 starsGood storyline but not well-written. Good storyline, but so many impossible scenarios that common sense kicking in makes it impossible to swallow. Simple things like the disguise kit Sebastian wears taped to his chest when he travels by air as if TSA wouldn’t find it. Also, editing in the Kindle version is pathetic, e.g., bare instead of bear, canon instead of cannon, and missing words. I found the same issues with The Ninth Orphan, and The Orphan Factory. The Morgan’s are definitely not in the Ludlum, Forsyth league. 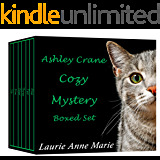 This is a series of three novels and they are an excellent, exciting read. HOWEVER, I purchased all three to read them in order and you SHOULD READ THE SECOND ONE FIRST!! The third entry of the Orphan Trilogy offers more action, more conspiracies, and a satisfying, if not unpredictable, ending. Can't wait for the movie! Interesting concept. Lots of violence though.